Note: In order to protect the colony of gulls and especially their young, there is absolutely no trespassing allowed on Gull Island. I can’t imagine that anyone has ever visited the Northport area at the tip of Michigan’s Leelanau Peninsula and not wondered about the little island with the derelict house that sits in the bay south of the harbor. I know that was the case with me. I first laid eyes on the island in 1970. Some friends owned a summer resort on a bluff overlooking Northport Bay that had an unparalleled view of the island and its abandoned twin-chimneyed dwelling. The little island in the bay was like a magnet to me, and when I visited there I could not take my eyes off of it. Questions invariably came flooding to my mind. Who owns the island? Who built the house? What happened to the people? Why was the island house abandoned? What about the gulls? Egged on by my inner historian, little by little over the ensuing years I collected scraps of information about the island, which I judiciously squirreled away. I read a number of accounts in various publications, all of which pretty much told the same basic story: the house on the island known variously as Trout Island, Fisher’s Island, Gull Island and Bellow Island (its official map designation) had been built, they said, by Harvard professor Lee Ustick, who was eventually driven off by the hoards of gulls that used the island as a rookery. But as I conducted my own research, new information, as well as discrepancies in the popularly accepted version, began to emerge. Check out this short video of Gull Island shot by Traverse Magazine editor Jeff Smith, and read his story about the science behind the mysterious island. The house had actually been built around 1910 by Edward Taylor Ustick Sr., William “Lee” Ustick’s father. Edward was a prominent St. Louis businessman who was an officer (and eventually president) of George D. Barnard & Co., manufacturers of office fixtures, equipment, lithographers and printers in St. Louis, Missouri. It was the largest producer of blank books in the world. Edward’s father, Thomas Watt Ustick, was also a prominent St. Louis book and job printer. His firm set type for the Whig newspaper, the St. Louis Evening News, as well as other journals. Samuel Clemens worked for Ustick during the summer of 1853 in order to earn enough money to buy a ticket to New York. Clemens’s brother Orion, who had taught the trade to Samuel in Hannibal, had worked for Ustick a decade earlier. An article in the October 12, 1909, Traverse City Evening Record announced that Edward Ustick of St. Louis, Missouri, had purchased Trout Island (Gull Island) in Northport Harbor and that the gulls would “have to go.” It went on to say that he had engaged prominent Traverse City architect Jens C. Petersen to design the house that he would build there. Architect Petersen had gained local fame as the designer of the Antrim County courthouse constructed in Bellaire in 1904–05. He had also been commissioned in 1906 to do the drawings for the new Grand Traverse County Poor House. What might have motivated the senior Ustick to come all the way from St. Louis to purchase an island in Northport Bay is not certain. Perhaps someone familiar with the area had told him of its beauty. No doubt there was some connection with the summer colony at Northport Point, as there was a St. Louis contingent there. An escape from the sweltering summer heat of St. Louis surely was part of it, but maybe there was something else. For nearly eight months during late 1900 and early 1901, Edward Ustick was subjected to a scandalous and very public divorce that played out almost daily in the local press. It ended with Edward being awarded a divorce and custody of his two sons, Edward Jr. and William Lee. The day following the divorce decree the local papers announced that the former Mrs. Edward Ustick had remarried that day. Mr. Ustick, of course, refused comment. For a man of his economic and social standing such embarrassing negative attention must have been nearly unbearable. A house alone on an island surrounded by water with only the gulls to wag their tongues must have seemed like an idyllic refuge. During the period that the house was being built by Woolsey, Edward Ustick’s two sons, Edward Jr. and William Lee were being educated in the country’s finest schools. Edward Jr. attended the Missouri School of Mines in Rolla, Missouri. William Lee attended the prestigious Groton School in Groton, Mass. followed by undergraduate and graduate work in education at Harvard University. Harvard was followed by studies in Europe. One Leelanau County source that I deem reliable has told me that the island real estate that Ed Ustick purchased included a mainland parcel in Northport where a dock could be constructed in order to facilitate access to the island. This same source says that there were actually two houses constructed; one on the island and an identical one on the mainland in Northport. I have not to date been able to confirm this but there is one intriguing piece of evidence that tends to support some form of mainland activity by the Usticks. In June of 1917 Edward T. Ustick Jr. registered for the World War I draft and in that document he gave his address as “RR #1, Northport, Mich.” and listed his occupation as “Farmer,” employed “By self.” He doesn’t state exactly where this farming is taking place but obviously there would have been no place on the island for any kind of agricultural activity leaving us to conclude that he must have had some farm land elsewhere. In other documents back in St. Louis young Edward gave his occupation as “Horticulturist.” Edward Sr. and William Lee spent much of the early years of the island cottage’s existence traveling in Europe so perhaps it was left to Edward Jr. to look after the Northport properties. Little is mentioned over the next several years of the Ustick family’s life on the island but presumably they continued to utilize it as a summer retreat despite the inconveniences caused by the gull rookery. 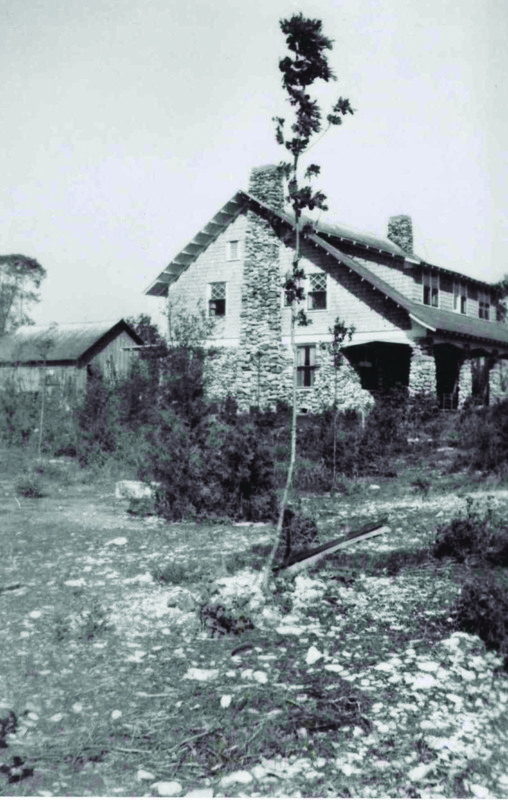 With Edward T. Ustick Sr.’s passing in 1931 the island house passed to his son William Lee Ustick. Until 1937 there were very few if any first hand accounts of what life was like on the island. 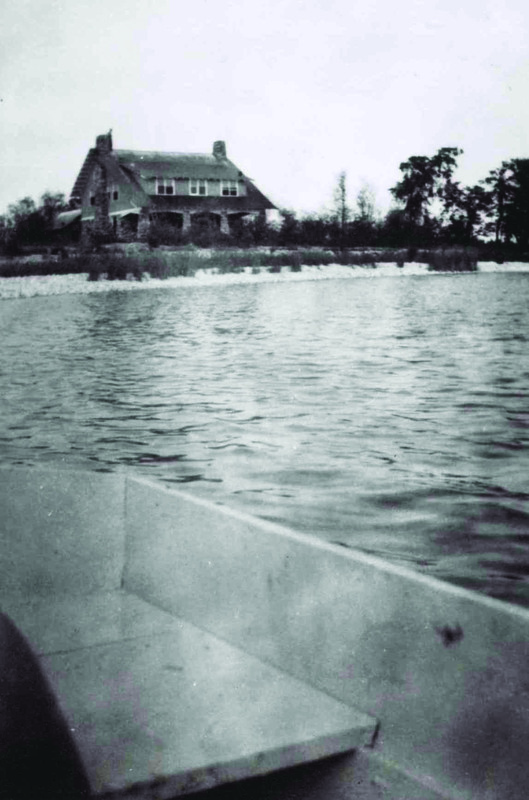 But in a recently (September 24, 2013) posted internet article “Gull Island Memories,” by Dorothy Mays Ives, Mrs. Ives gives an account of her time spent there that summer as a domestic in service to the Lee Ustick household. I found it a very revealing narrative of life at the cottage without the sensationalization of the gull conundrum seen in most published articles about the island. In fact, she only mentions the gulls once, saying, “I have a memory of having to go out to get kerosene for the stove, or some other outdoor chore, and having gulls swoop down on me. They seemed to have built nests everywhere, and you had to be careful where you stepped.” Mrs. Ives also recounts that the Ustick’s oldest daughter, Ellen, attended dances at the Yacht Club at Northport Point. Apparently the Ustick family did have some sort of affiliation with the Northport Point Summer Colony. To be sure there were problems caused by the gull rookery but how bad could it have really been? Apparently, the Ustick family, having been summering on and off at the island cottage for nearly 30 years without having suffered any apparent ill effects or being driven off had reached a sort of grudging acquiescence with the gulls. Even though the family’s battles with the gulls, a war even, were serious, it doesn’t appear to have been the cause of the family abandoning the island for good. This battle with the gulls wasn’t personal. After all they were only birds. It was like doing battle with a force of nature, there being no ill will involved. But what was to happen next was very personal indeed. With the coming of the Second World War and all that that entailed, the Usticks ceased to visit the island. Rationing made travel more difficult, and as Lee Ustick had left teaching, he probably did not have available to him the long summer vacations he had enjoyed as a professor. By war’s end Ustick was working as a “state manager” in Cambridge, Massachusetts, and the family had just simply gotten out of the habit of visiting Michigan. 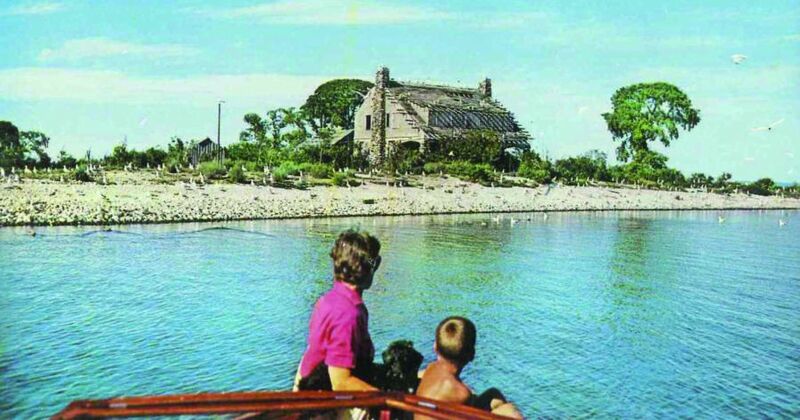 It would be fair to say that the Usticks’ Gull Island cottage hadn’t been abandoned. It was simply temporarily unused. But in 1948 something happened that would seal the island’s fate and end human habitation there forever. During the 1950s the island became somewhat of a tourist attraction with Northporters running sightseeing trips to the island. A 1958 article in the Traverse City Record Eagle by Al Barnes stated, “Of recent years the island has been an outstanding tourist attraction. Photographers from all over the middle west excursion to the tadpole-shaped piece of land to picture the abandoned home and see for themselves the battleground where the herring gulls outsmarted man and drove him from his home.” Ignoring the vandalism issue, the locals, in reference to the gulls, took an “I told you so” attitude toward happenings on the island. It’s apparently more palatable in an area dependent on tourism to believe that it was the gulls that drove the human inhabitants away than to admit that man’s own inhumanity to his fellow man was the real culprit. The Yosts further stated that they planned to rebuild the Ustick house, install a dock and “make suitable provisions for campers. The island with numerous species of birds, sea gulls, stones and rocks is a perfect camping location.” In another part of the same article it was stated, “Due to noise and excess of people in the area during the summer season, many birds have been scared and have vacated the island.” One wonders if the Yosts’ plans to open the island to public camping wasn’t really a plan to scare off the gulls. In any case, before any of their plans could come to fruition, Herbert Yost was killed in a car crash in 1965. The Yost estate wasn’t settled until 1969, and the island languished thereafter in the hands of his heirs until, in 1995, an agreement was reached with the Leelanau Conservancy to acquire the island for permanent protection as a public trust. Gary L. Miller writes from Traverse City.